Ooh he is really concentrating isn't he? Lovely photo! Getting crafty and having fun! He looks like he's really enjoying his painting. Oooh someone is hard at work there! Must do some painting this week - it's been a while. 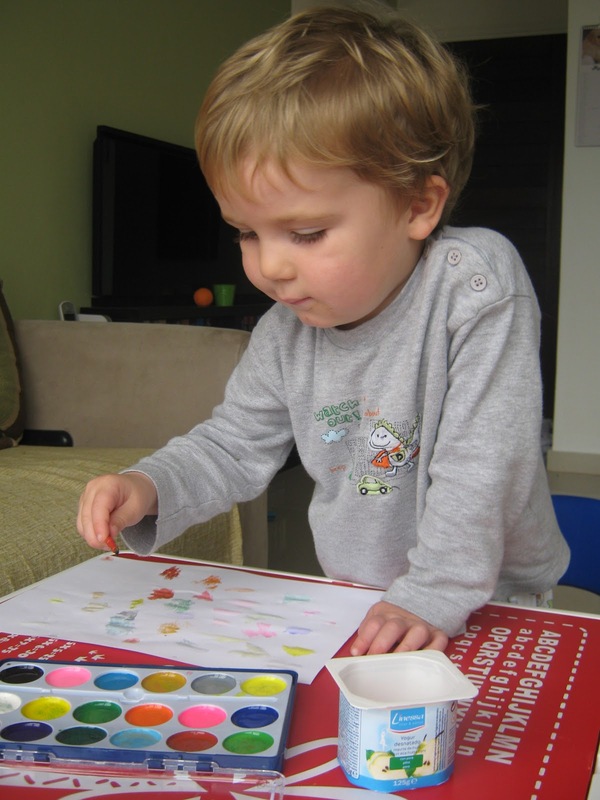 Oh bless - i wonder if you used the yoghurt pot for the water or if he's painting by yoplait! An artist in the making! Painting fun, always a winner! Lovely shot. He looks really engrossed. lovely photo, looks completely engrossed. Leo looks so grown up all of a sudden. Hope he didn't make too much of a mess for you... looks like he is loving it..